Cebu (/seˈbuː/; Cebuano: Lalawigan sa Sugbu/Probinsya sa Sugbu; Waray: Probinsya san Sugbu/Probinsya san Cebu; Hiligaynon: Kapuoran sang Sugbu/Probinsya sang Cebu; Tagalog: Lalawigan ng Cebu) is a province of the Philippines located in the Central Visayas (Region VII) region, and consisting of a main island and 167 surrounding islands and islets. Its capital is Cebu City, the oldest city and first capital of the Philippines, which is politically independent from the provincial government. Cebu City forms part of the Cebu Metropolitan Area together with four neighboring cities (Danao City, Lapu-Lapu City, Mandaue City and Talisay City) and eight other local government units. Mactan-Cebu International Airport, located in Mactan Island, is the second busiest airport in the Philippines. The name "Cebu" came from the old Cebuano word sibu or sibo ("trade"), a shortened form of sinibuayng hingpit ("the place for trading"). It was originally applied to the harbors of the town of Sugbu, the ancient name for Cebu City. Alternate renditions of the name by traders between the 13th to 16th centuries include Sebu, Sibuy, Zubu, or Zebu, among others. Sugbu, in turn, was derived from the Old Cebuano term for "scorched earth" or "great fire". The Rajahnate of Cebu was a defunct native kingdom which existed in Cebu prior to the arrival of the Spaniards. It was founded by Sri Lumay otherwise known as Rajamuda Lumaya, a half-Malay, half-Tamil prince of the Chola dynasty who invaded Sumatra in Indonesia. He was sent by the Maharajah to establish a base for expeditionary forces to subdue the local kingdoms, but he rebelled and established his own independent Rajahnate instead. The arrival of Portuguese explorer Ferdinand Magellan in 1521 established a period of Spanish exploration and colonization. Losing favor for his plan of reaching the Spice Islands from king Manuel I of Portugal, by sailing west from Europe, Magellan offered his services to king Charles I of Spain (Charles V, Holy Roman Emperor). On 20 September 1519, Magellan led five ships with a crew of 250 people from the Spanish fort of Sanlúcar de Barrameda en route to southeast Asia via the Americas and Pacific Ocean. They reached the Philippines on 16 March 1521. Rajah Kolambu the king of Mazaua told them to sail for Cebu, where they could trade and have provisions. Arriving in Cebu City, Magellan, with Enrique of Malacca as translator, befriended Rajah Humabon the Rajah or King of Cebu and persuaded the natives of allegiance to Charles I of Spain. Humabon and his wife were given Christian names and baptized as Carlos and Juana. The Santo Niño was presented to the native queen of Cebu, as a symbol of peace and friendship between the Spaniards and the Cebuanos. On 14 April Magellan erected a large wooden cross on the shores of Cebu. Afterwards, about 700 islanders were baptized. Magellan soon heard of datu Lapu-Lapu, a native king in nearby Mactan Island, a rival of the Rajahs of Cebu. It was thought that Humabon and Lapu–Lapu had been fighting for control of the flourishing trade in the area. On 27 April the Battle of Mactan occurred where the Spaniards were defeated and Magellan killed by the natives of Mactan in Mactan Island. According to Italian historian and chronicler, Antonio Pigafetta, Magellan's body was never recovered despite efforts to trade for it with spice and jewels. Magellan's second-in-command, Juan Sebastián Elcano took his place as captain of the expedition and sailed their fleet back to Spain, circumnavigating the world. Survivors of the Magellan expedition brought tales of a savage island in the East Indies with them when they returned to Spain. Consequently, several Spanish expeditions were sent to the islands but all ended in failure. In 1564, Spanish explorers led by Miguel López de Legazpi, sailing from Mexico, arrived in 1565, and established a colony. The Spaniards fought the King, Rajah Tupas, and occupied his territories. The Spaniards established settlements, trade flourished and renamed the island to "Villa del Santísimo Nombre de Jesús" (Town of the Most Holy Name of Jesus). Cebu became the first European settlement established by the Spanish Cortés in the Philippines. In 1595, the Universidad de San Carlos was established and in 1860, Cebu opened its ports to foreign trade. 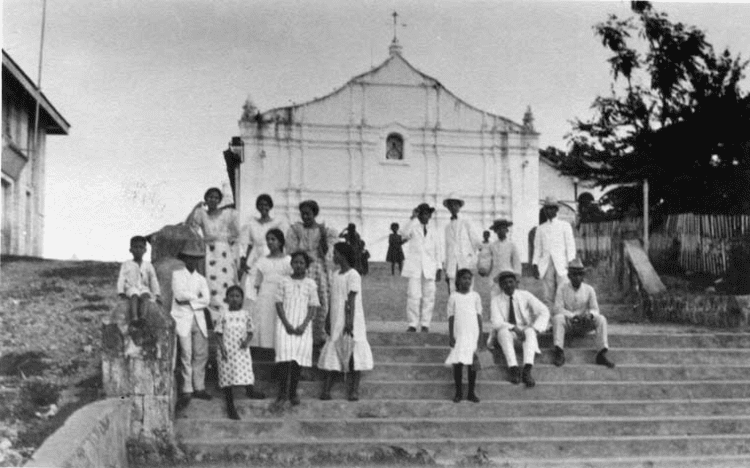 The first printing house (Imprenta de Escondrillas y Cia) was established in 1873 and in 1880, the Colegio de la Inmaculada Concepcion (College of the Immaculate Conception) was established and the first periodical The Bulletin of Cebu ("El Boletin de Cebú") began publishing in 1886. In 1898, the island was ceded to the United States after the Spanish–American War and Philippine–American War. 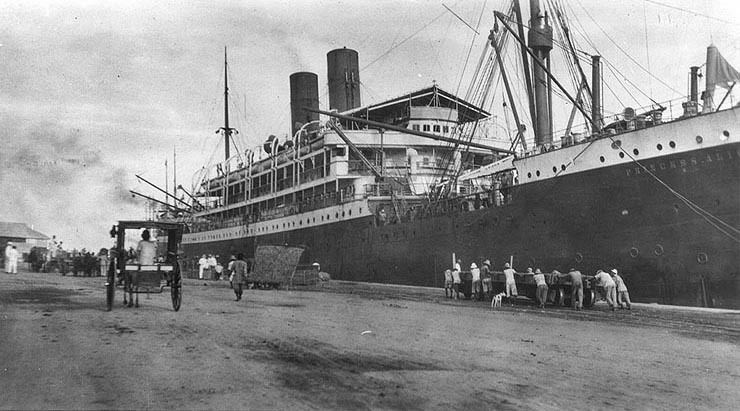 In 1901, Cebu was governed by the United States for a brief period, however it became a charter province on 24 February 1937 and was governed independently by Filipino politicians. Cebu is subdivided into 6 component cities and 44 municipalities. The cities of Cebu, Lapu-Lapu and Mandaue are often grouped with the province for geographical and statistical purposes, but are independent cities that are not under provincial supervision. The Cebuano language is spoken in Cebu, as well as in most areas of the Visayas, including Bohol (where it is spoken as Boholano), Siquijor, Leyte, Biliran, Samar, and Negros Island Region (especially in Negros Oriental), as well as most provinces of Mindanao. In the Camotes Islands, especially in Poro, people there speak their own Visayan language called Porohanon, which has some Waray influences. Some of the residents in Bantayan islands also speak Bantayanon, a Visayan language related to Hiligaynon. 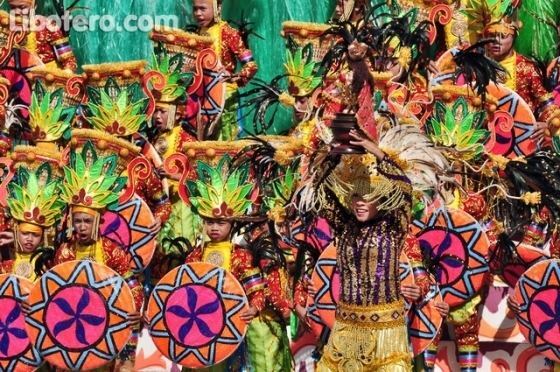 Other Visayan languages such as Hiligaynon and Waray are also spoken in urban areas of the province, especially by people who hailed from Samar, Northern Samar, Leyte, Negros Occidental, and Iloilo. The majority of its population are Roman Catholic followed by roughly 95% of Cebuanos. There are also some followers of Islam, Buddhism and Hinduism. 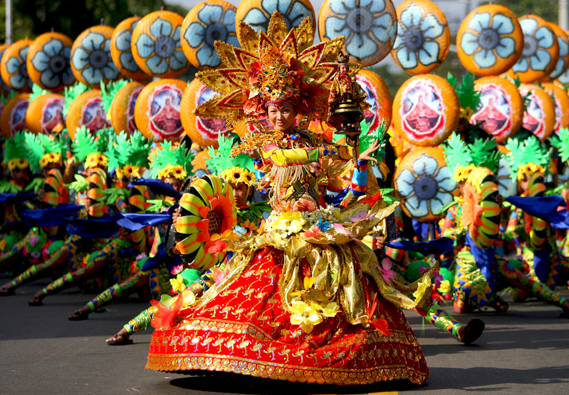 "Ceboom", a portmanteau of Cebu and Boom, has been used to describe the province's economic development. With many beautiful islands, white sand beaches, luxury hotel and resorts, diving locations and heritage sites, high domestic and foreign tourist arrivals have fueled the tourism industry of Cebu. Cebu consistently gets a big share of tourist arrivals in the Philippines, and has become the tourist gateway to Central and Southern Philippines due to its central geographic location, accessibility and natural resources. The province also hosts various national and international conferences every year. Cebu even boasts being a subsidiary of one of the leading ice rink manufacturers in the world. These rinks are engineered and fabricated in Cebu by Ice Rink Supply and shipped worldwide. Cebu is home to a local television station, the CCTN (channel 47). Despite having their local stations, Cebuanos prefer to watch the Philippine four dominant television networks namely: ABS-CBN, TV5, CNN Philippines and GMA Network. While national newspapers have presence in the island, Cebu has English-language local newspapers – The Freeman (under the Star Group), Sun.Star Cebu and Cebu Daily News (under the Inquirer Group): and Cebuano-language newspapers – SunStar SuperBalita owned by SunStar, and Banat News owned by The Freeman. Each of the local newspapers sell cheaper than their national counterparts. The Cebu Doctors' University (formerly Cebu Doctors' College), a medical school located in the Cebu Boardwalk in nearby Mandaue, was elevated to university status in November 2004. Another notable medical school is the Cebu Institute of Medicine in affiliation with Velez College. The Cebu Institute of Technology – University (formerly Cebu Institute of Technology) located in N. Bacalso Ave. and the Cebu Technological University (formerly Cebu State College of Science and Technology) which is located in M.J. Cuenco Avenue cor. R. Palma Street, Cebu City are the newest universities. CIT-U and CTU were elevated to university status in the year 2010. The Cebu's first film school, The International Academy of Film and Television was established on Mactan Island in 2004. The Asian College of Technology, is also located in Metro Cebu.